The annual MUST Giving Gala features a new venue, new entertainment, new activities and new hope for helping more people in poverty. Slated for April 13 at the new Jim R. Miller Event Center, the gala highlights an upscale western party with silent and live auctions, saloon door photo booth, pub pull and lots of bling and surprises. 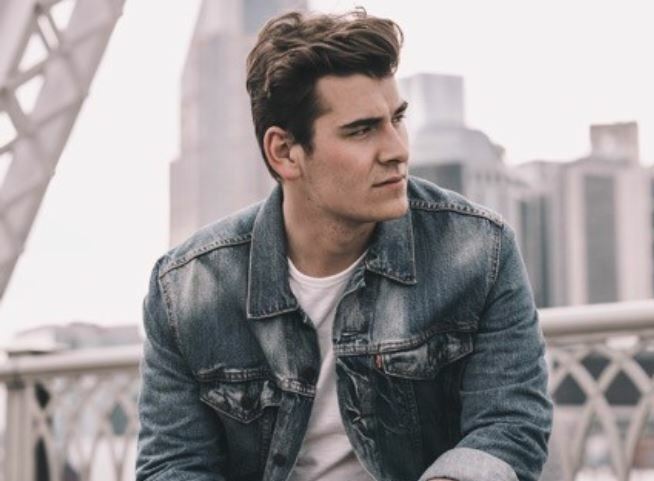 The evening ends with a concert by Zach Seabaugh, a Marietta native who gained national notoriety in NBC’s “The Voice” competition. Zach first hit the national scene in 2015 when he placed in the top five on “The Voice.” His self-titled five-song EP entered the iTunes country chart at #3 in 2016 and he was tapped to perform at KICK’s “Country Fair 2016” in Atlanta along with Lady Antebellum, Jennifer Nettles and more. He opened for Jennifer Nettes in some of her own shows. In 2017, Zach starred alongside acclaimed singer-songwriter Radney Foster in the musical “Troubadour” at the Alliance Theater in Atlanta and made his debut on the Grand Ole Opry stage. He has made several appearances at the CMA Music Fest and is spending time writing songs in Nashville and performing nationwide. A trip for two to the 2019 Annual Country Music Awards ceremony and after-party in Nashville, Tennessee (three days and two nights). A weekend rental of a beautiful Bentley luxury car. A getaway in Jackson Hole, Wyoming, that features four days and three nights for two at The Lodge and includes a Grand Teton wildlife safari. A two-night stay in an ocean-view deluxe room at the Omni Amelia Island Plantation in Fernandina Beach, Florida. A two-bedroom, two-bath villa in Charleston that includes a round of golf for four at The Links. The silent auction is always full of must-have gifts, including upscale pleasures like dining and travel experiences, fine jewelry and salon and spa sessions, as well as fun times like a Marietta Police ride-along, a flight in an authentic Huey helicopter and a studio tour of Sports Radio 680 The Fan. MUST expects more than 600 people to attend to party and dance the night away while raising money to help those in poverty. MUST now serves more than 33,000 clients a year in eight area counties, most of whom come from Cobb and Cherokee. An extensive food program includes 33 school food pantries, 3 client services pantries, hot meals at the Loaves and Fishes Community Kitchen, Thanksgiving boxes, senior citizens groceries and 7,600 children fed by Summer Lunch volunteers and staff daily. Additionally, MUST provides an emergency shelter, several housing programs, workforce development, toy shops and clothing. MUST was recently named among the top charities in the nation for fiscal responsibility by Charity Navigator. For more information and gala tickets, visit mustministries.org/must-giving-gala. Sponsors and auction items are still being added. Email abolton@mustministries.org for more information.